The 1947 - Present Chevrolet & GMC Truck Message Board Network - Trucks of the farm!! I know this classifies 98% of the trucks here in Alabama :lol: but let's see the trucks that made it off the farm instead of beings laid to rest in the weeds when they were done haulin hay and critters! I'll play. Mine was farm used 65-83 then just sat by the barn. Mine made it to ANOTHER farm! LOL! Used as a farm truck still! Never again will it be left in the weeds though! I fit in too. Grandpa bought new and hauled anything and everything (cows) in the back. Some work later hard to tell unless u look in the box! I even found a pic with a tractor in the background to give more farm feel. My 63 Burb, lived on a Washington State farm all it's life until I bought it. Does a ranch count? Mine was off a ranch in WY used to haul a backhoe. You can tell that a fifth wheel hitch was used by the notches and holes in the wood bed. Ranch... Farm all a matter of where you live lol bring em on!!! 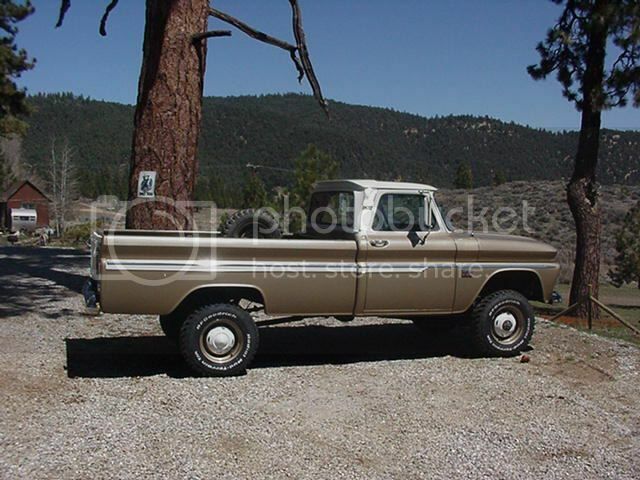 When I bought the 66 back in 98 or so it was for my 16 year old son as a project for his first vehicle. The 283 was toast. 2nd Owner was jumping a tractor and had mistakenly left the tractor in gear. When it started, it T-boned the ol 66 and pushed it into a irrigation ditch. The little 283 ingested water, hydro-locked and the moron just pulled it out of the ditch , towed it to the barn and it sat for a number of years. Mine was an old farm truck out here in WA just west of the Puget Sound, my daily driver and will continue to be that and my farm rig when I get out of the Navy. The day I brought mine home from a farm in Iowa. And the day Dennis Gage stood in front of it during taping of his show at Torquefest in Farley, IA. I too love Steve's truck!!! My 66's hard working life on the farm was cut short when it's owner became disabled not long after the work began. It remained on the farm for nearly forty years, only to be parked in the barn. When this picture was taken in 2008, it had clocked only 8700 miles and was totally original down to the tires! Despite it's condition, it was, is, and will always be a simple farm/work truck. My 1965 C10 was on a farm in Kansas until the 1980's. The farmer pampered this truck and only used it to go to town and pull his fishing boat. It was purchased from the estate by a local collector and was in storage until I bought it 3 years ago. 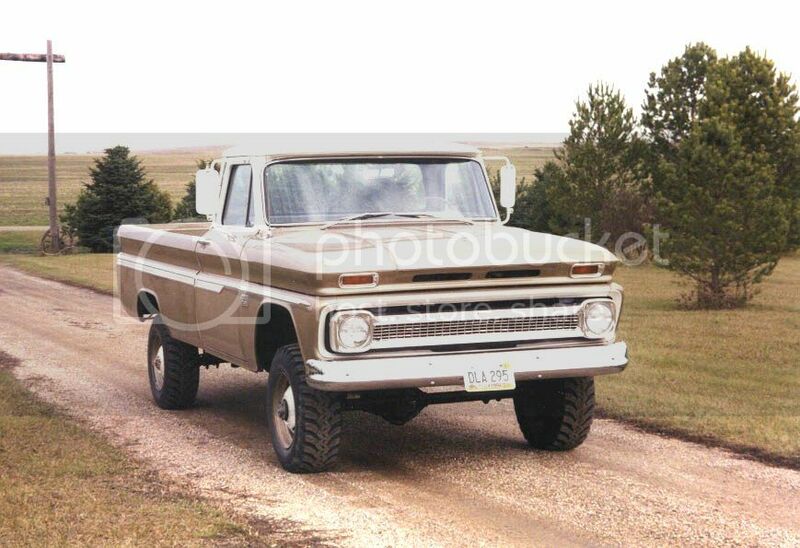 Heres a picture of our 1966 K20 at the farm or ranch of the original owner in North Dakota. It then made its way to Northern Ca in this picture. You will notice it has 1960 hubcaps on it. Well, the original owner traded in a 1960 K20 in on the 1966 and in the deal used the caps from that truck on this one. 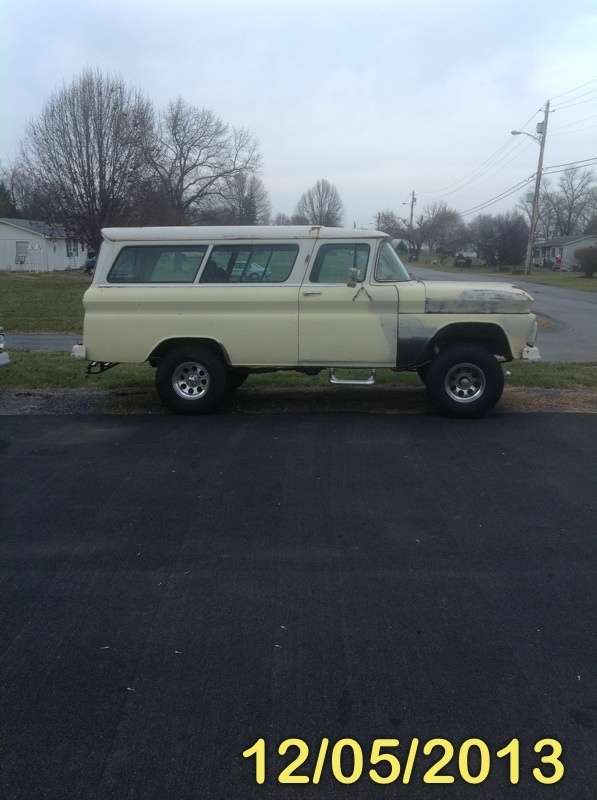 Lovin this one, kinda rare to see a 1960 Custom 4x4.